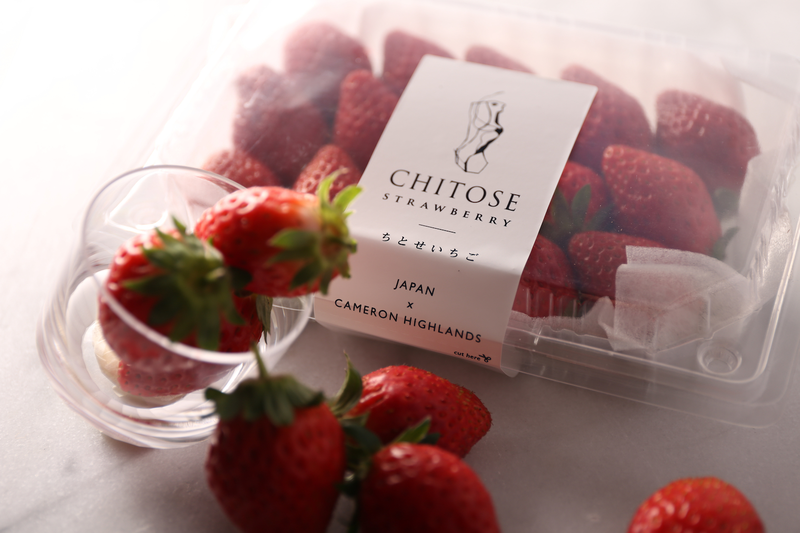 Bite into Chitose strawberries, and you will experience juiciness and sweetness like no other you tasted before. Every bite exudes such succulence and sweetness making every mouthful such a delight! This week we intend to give our readers a behind the scenes glimpse of these succulent produce to acquaint consumers to farmers. A little background about our chief farmer, Mr. Kinoshita, who uprooted himself from his homeland(Tokushima, Japan) and went on to live in a strawberry farm in the outskirts of Kota Kinabalu (KK), Malaysia. During his stay in KK, he was told by the locals that the region was unsuitable for sustainable strawberry farming. Where the other farmers failed, Mr. Kinoshita succeeded and he managed to harvest strawberries which came as an eye-opening surprise to the locals. 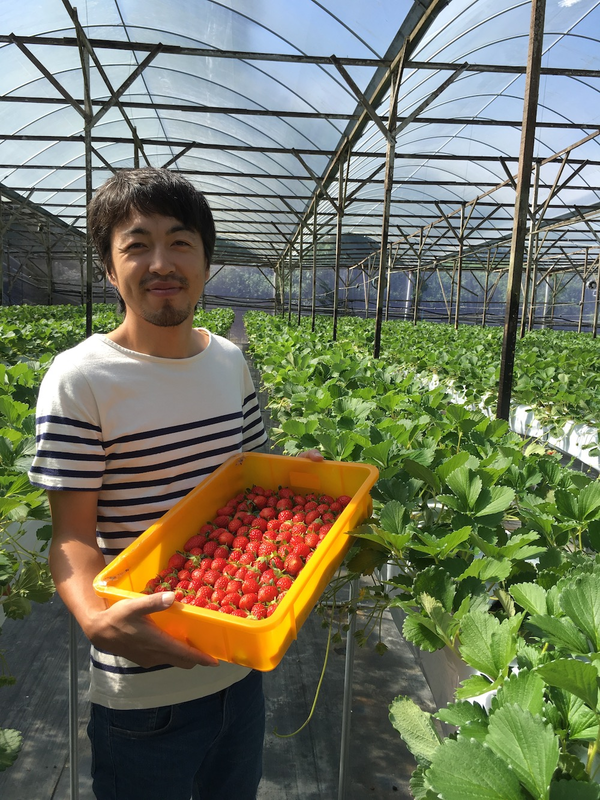 To further his ambition to cultivate the best in class strawberries, Mr. Kinoshita joined Chitose and with a team of agriculture experts and savvy business executives the team set their eyes on Cameron Highlands as the next playing field. 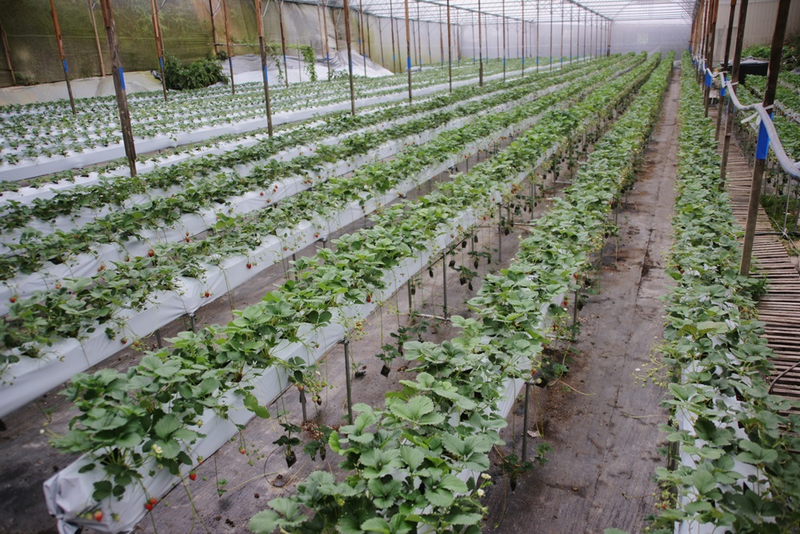 Today, Chitose managed to cultivate and harvest strawberries all year round due to the stable climate conditons in Cameron Highlands. To acheive the wondrous produce we have today, the constant care and monitoring of the strawberries is a key ingredient. And when we say constant we mean TWENTY-FOUR-SEVEN, 24 hours a day, 7 days a week! The work day begins before the sun is up for the team, at 5am, everyone goes around the strawberries farms, taking note of the morning dew that has accumulated overnight; one of the many indicators employed by our team to track the health of the crop. From that observation, using their experience and expertise, Mr Kinoshita, determines water uptake overnight of each individual rows of strawberries. From there, the team determine the amount nutrients and the water each row of strawberry needs. The sceptics may find this method redundant but the results we acheived certainly proves to speak otherwise. To maintain the sweetness of the strawberries, Mr Kinoshita and his team look at the flowers of the strawberries. As flowers start to bloom, they pay special attention to the growth rate of the flowers as the number of flowers has a indirect correlation on the quality of the fruit. Simply put, the more flowers there is, the more strain it puts on the plant to produce quality fruits. Now, you may think the task of plucking flowers from its stems is a menial and easy task, imagine you have to do this for hectares and hectares of land - not so easy after all. 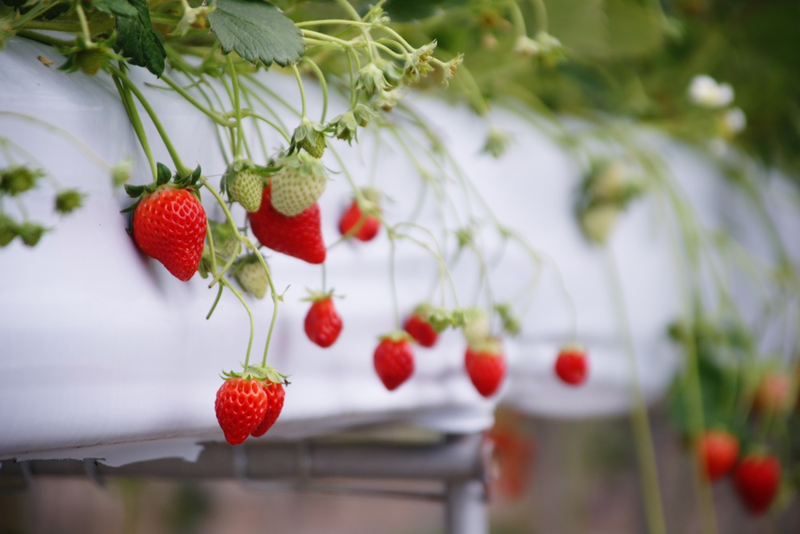 Technology aside, patience, detailedness and deligence are also key ingredients in Chitose's way of cultivating strawberries. The Japanese Way. Strawberry cultivation is well-known to be affected by pest and usage of pesticide is wide-spread and rampant. Strawberries is a fruit eaten together with its skin and seeds hence it is important to us that only a minute amount of pesticide is being used if at all. 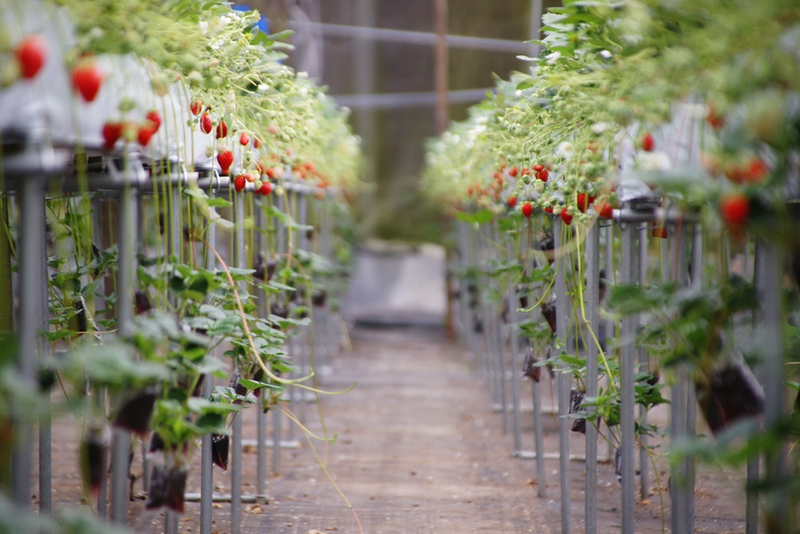 At Chitose's strawberry farm, instead of relying on pesticide, we use biopredators to control the pest. For eg. we use natural predators such as ladybugs to prey on the aphids. Our strawberries are harvested only when they are fully ripe (Kanjuku-style) so as to guarantee that our customers are able to savour the full flavour of our produce. As the strawberries are at their ripest, they are packed ever-so delicately into its individual pack for our customers. Before the end of the day, the strawberries are ready to be transported from Cameron Highlands to Singapore. These precious cargo of sweet goodness whose temperature is maintained at 4 degrees throughout transportation will reach Singapore the next day to be delivered to the supermarkets as well high end pastry shops and restaurants. From when the strawberries are harvested to the time the strawberries reaches our customers, it takes less than 48 hours!